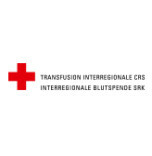 Interregional Blood Transfusion SRC Ltd (thereafter IBT) is one of 12 regional blood transfusion services in Switzerland and a member of the national umbrella organization Swiss Transfusion SRC. Its core areas of expertise are collecting, processing, testing and delivering labile blood products, along with providing diagnosis and advice in transfusion medicine. IBT collects blood products for Bern and Vaud Cantons in six blood transfusion centers and organizes more than 700 mobile blood donor campains per annum in close collaboration with Samaritan associations and volunteer groups. Epalinges blood transfusion center, located in the middle of Biopôle since 2009, welcomes any donor willing to give blood. All information concerning blood donation can be found on the website www.itransfusion.ch. IBT applies strict legal procedures for the whole chain from collection to delivery. Its products meet the highest quality requirements. Whenever possible, IBT supplies blood products and services for other public and private organizations, both in Switzerland and abroad. It also makes a significant contribution to research and development in transfusion medicine and works in close cooperation with university hospitals, public and private institutions, as well as with other partners. Thanks to its professional and up-to-date blood management procedures it ensures a sustainable blood supply. The most modern facilities, know-how and applied methodology in its specialized laboratories enables IBT to offer a whole range of services to other regional blood transfusion services, pharmaceutical and diagnostics industries, private and hospital laboratories, and to the umbrella organization Blood Transfusion SRC as well. We IBT employs a staff of around 350 people.